FIRST, which stands for “For the Inspiration and Recognition of Science and Technology,” is a nonprofit organization founded in 1989 by Dean Kamen. Kamen is an inventor, entrepreneur, and a strong promoter of science, technology, and engineering. He is best known as the inventor of the Segway. Kamen noticed that the number of American students in the science and technology field was widely decreasing and he wanted to inspire young adults to join the vast field of science and technology. His passion and determination to help young people discover the excitement and rewards of science and technology are the cornerstones of FIRST (For Inspiration and Recognition of Science and Technology). OSDE and FIRST began working very closely together in the spring/summer of 2012. The OSDE STEM team with the FIRST team to create a comprehensive competitive grant. 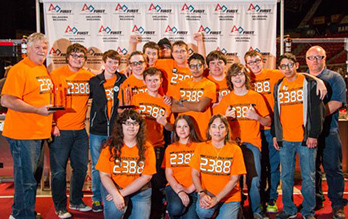 The grant was designed to give aid to Oklahoma students affording them the opportunity to participate in several FIRST events such as FIRST Lego League (FLL), FIRST Tech Challenge (FTC) and FIRST Robotics Competition (FRC). While the grant was not something new the opportunities added were. 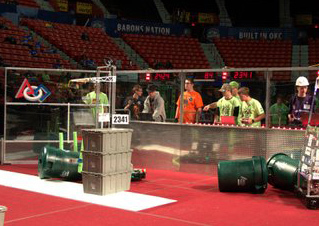 Original design of the grant only allowed brand new teams that wanted to compete in FRC to apply. Through a very successful collaborative process the teams of OSDE, FIRST and SWOSU were able to open up the opportunities to ALL FIRST events and also allowed established teams to apply aiding with sustainment of the programs. Please preview the pictures taken from the event. It is very clear to see how crucial it was for many of the teams to have the financial help in exploring this incredible STEM opportunity. It is OSDE's intention to continue with this STEM opportunity so please stay current with this page for the next grant cycle.